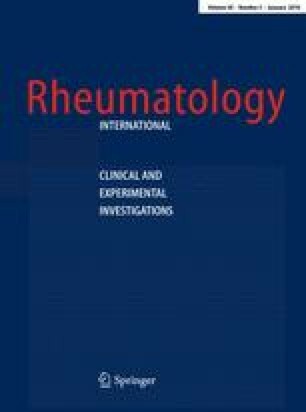 The aim of this study was to assess the structural efficacies of daily glucosamine sulfate and chondroitin sulfate in patients with knee osteoarthritis (OA). The authors surveyed randomized controlled studies that examined the effects of long-term daily glucosamine sulfate and chondroitin sulfate on joint space narrowing (JSN) in knee OA patients using the Medline and the Cochrane Controlled Trials Register, and by performing manual searches. Meta-analysis was performed using a fixed effect model because no between-study heterogeneity was evident. Six studies involving 1,502 cases were included in this meta-analysis, which consisted of two studies on glucosamine sulfate and four studies on chondroitin sulfate. Glucosamine sulfate did not show a significant effect versus controls on minimum JSN over the first year of treatment (SMD 0.078, 95% CI −0.116 to −0.273, P = 0.429). However, after 3 years of treatment, glucosamine sulfate revealed a small to moderate protective effect on minimum JSN (SMD 0.432, 95% CI 0.235–0.628, P < 0.001). The same was observed for chondroitin sulfate, which had a small but significant protective effect on minimum JSN after 2 years (SMD 0.261, 95% CI 0.131–0.392, P < 0.001). This meta-analysis of available data shows that glucosamine and chondroitin sulfate may delay radiological progression of OA of the knee after daily administration for over 2 or 3 years.